New Vintage Keepsakes Needle Minders! 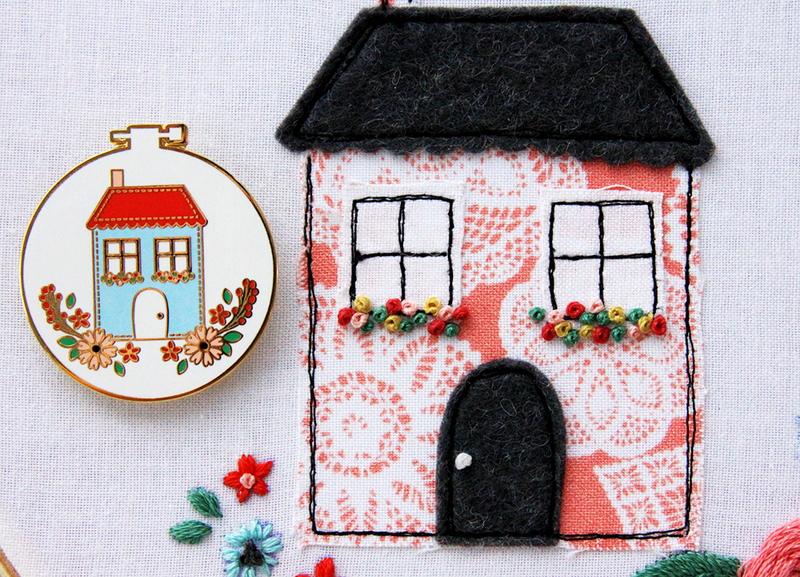 I’m so excited about the launch of Vintage Keepsakes – and along with that I’ve created two fun new needle minders that coordinate with the fabric collection! In case you haven’t seen it, Vintage Keepsakes is full of vintage florals, doilies and all sorts of pretty elements inspired by vintage embroideries. So what could be more fun than adding a little vintage flair to your embroidery and cross-stitch projects?! 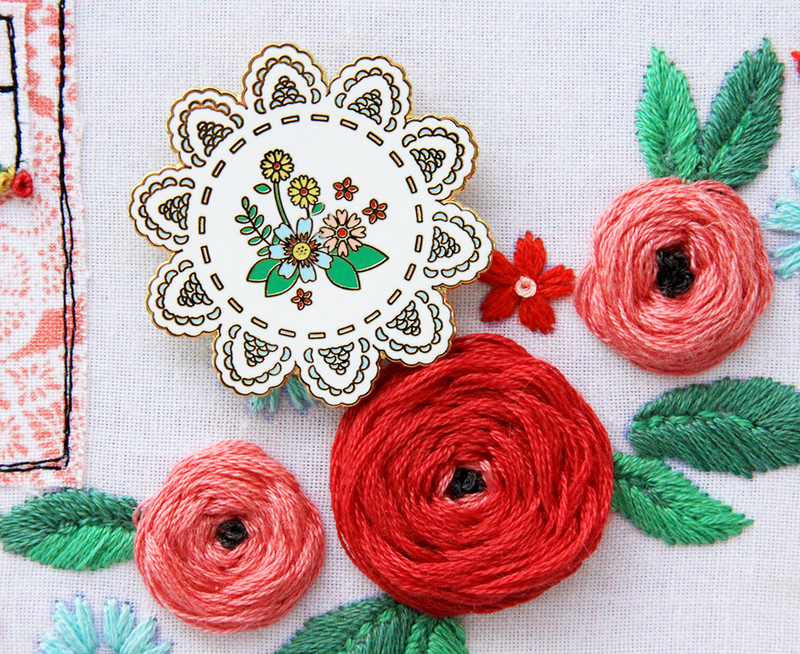 The first new needle minder is this doily decorated with little flowers! I’m just so in love with how it turned out! The gold really shimmers on these as well. I’ve heard from so many people who are wearing the needle minders like enamel pins too! Wouldn’t this look pretty on a wool coat or bag? 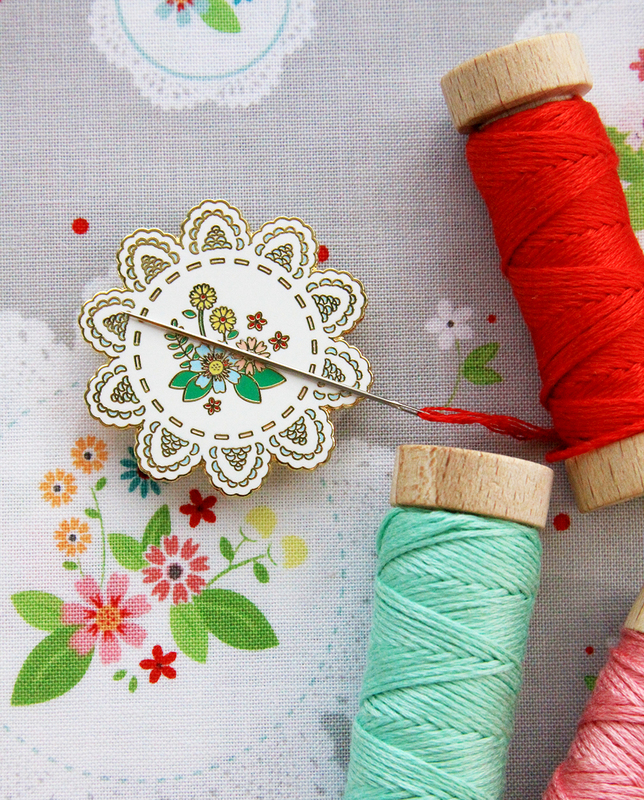 Click here to see the Floral Vintage Doily Needle Minder! 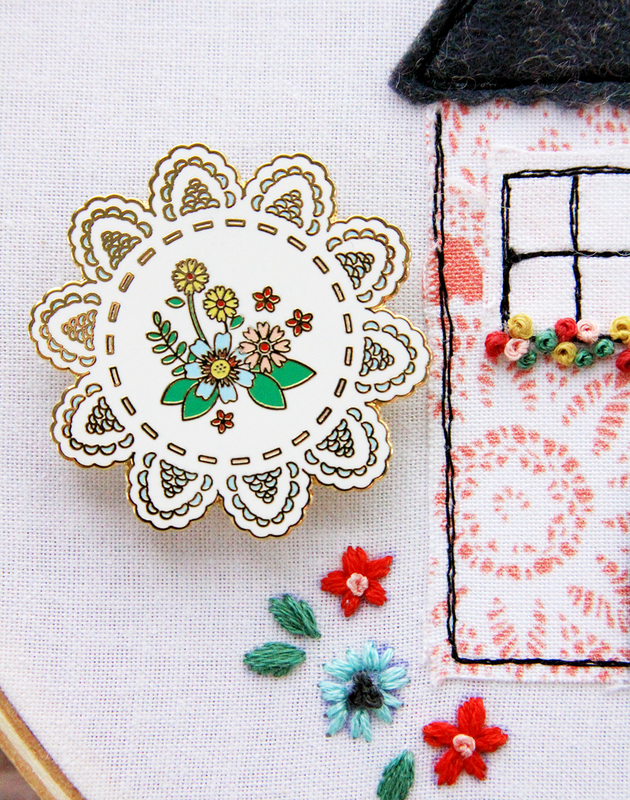 The second new needle minder is a tiny little embroidery hoop – all decorated with a stitched home and flowers! 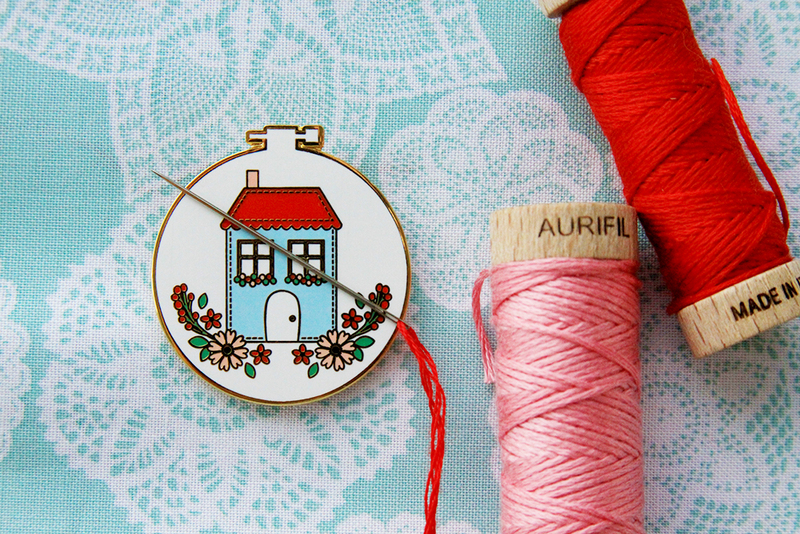 This hoop needle minder is based on my Vintage Home Embroidery Hoop pattern that will be on the blog next week! It’s all decorated with little flowers and even has a gold running stitch on the home! 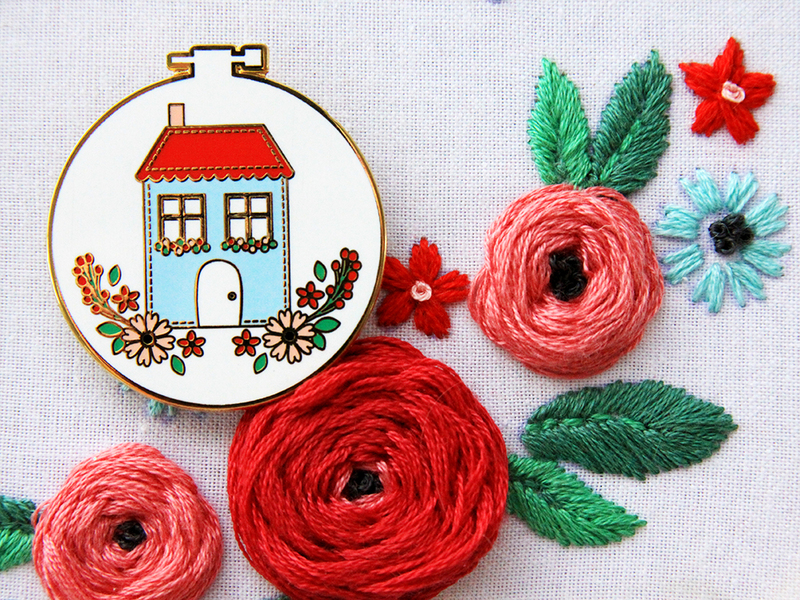 Both new needle minders are 1 1/2″ in diameter so they’ll work great on any size embroidery hoop! I also added a brand new Hedgie Enamel Pin to the shop! 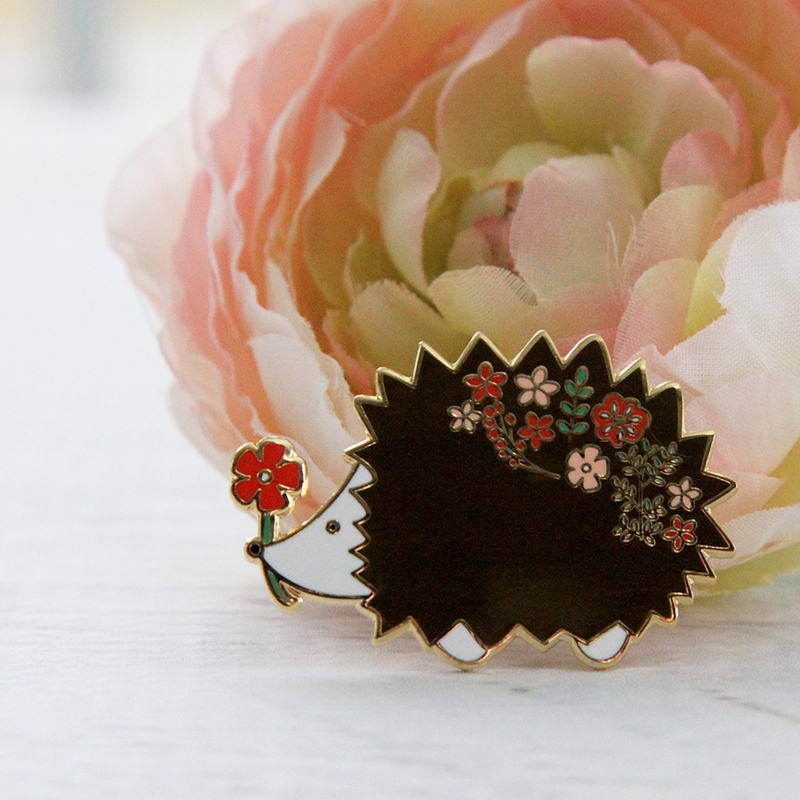 I had so many requests for the Floral Hedgehog to be a Pin as well so you can find that in the shop today too! Click here for the Hedgehog Enamel Pin! Thank you so much for supporting my shop. It means so much to me! I can’t wait to hear what you think of them!! OH MY GOSH…. can they be any cuter!!!! Bev, what kind of embroidery thread is that on the wooden spools? That is Aurifloss by Aurifil! I just adore it – it’s great thread and the wooden spools are soooo much easier to keep tidy! I did not see the cute Hedgehog. I may need to ace a order. Can’t wait to find your Vintage Keepsake here in St George Utah.